Home » Sewing Machines » Sewing Machines Only » Bernina B 325 Sewing Machine + Free Extension Table! 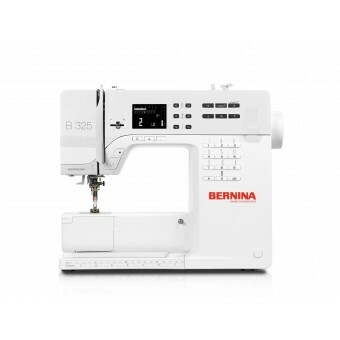 BERNINA B325. YOUR NEW GO-TO MACHINE. Being a sewist, a maker, a creator is serious business. When it’s time to make, your creativity deserves the support of a greatteam. Meet the B 325 sewing machine. Small enough to fit into any sewing nook or cranny, yet powerful enough to stitch through your toughest materials and ideas. Plus, they look as good as they sew. It is after all a BERNINA! It’s hard to improve on awesome, but we’ve found a way! Our 3 Series machines are full of the latest technology and robust, durable quality ensuring nothing stands in the way of your creativity. On the outside, the simple, user-friendly operation makes your maker life easy. A bright modern LCD screen provides an overview of the function settings at all times. And the direct selection buttons allow quick access to all the functions. The most frequently used functions are easily accessible right up front, for example the start/stop button for sewing without the foot control or the reverse sewing button. The position of the needle when you stop sewing is set using the needle stop up/down button – incredibly helpful when sewing corners. And with the slide speed control, set the speed you want, up to 900 stitches per minute. 16cm (6.3 inches) to the right of the needle is plenty of room for your ideas, but hardly any space in your sewing room. 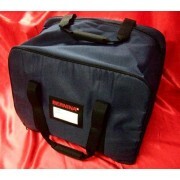 And the freearm makes manipulating closed items, such as sleeves or trouser legs, particularly easy and convenient. The semi-automatic threader makes threading the needle simple and the bright LED sewing light lets you sew through the night. Direct selection buttons let you quickly and easily select the perfect stitch, which can conveniently be adjusted using the stitch width and length altering buttons. Individual stitch settings can then be saved in the memory, losing nothing. And usefully, you can monitor everything on the screen. With stitched lettering (sewing alphabet) and a large selection of decorative stitches, make your sewing projects as unique as you are. Save time with functions like the button sew-on program. Or find the space you need on the popular freearm extension table, which gives you more room around the presser foot and needle. The accessory package includes various presser foot soles. The 3 Series is easily upgraded with a wide range of optional accessories.